Turnstiles: Layers are the way to secure your people, property and possessions. Understanding a customer’s needs are important in creating a secure opening to any entry or access point in a commercial building. Kenton Brothers is a big proponent of the ‘layered’ approach to security – hardening a location layer by layer to achieve the best solution for securing the space. For example, starting with access control system to control not only which doors people can enter through but when and how they can get in. 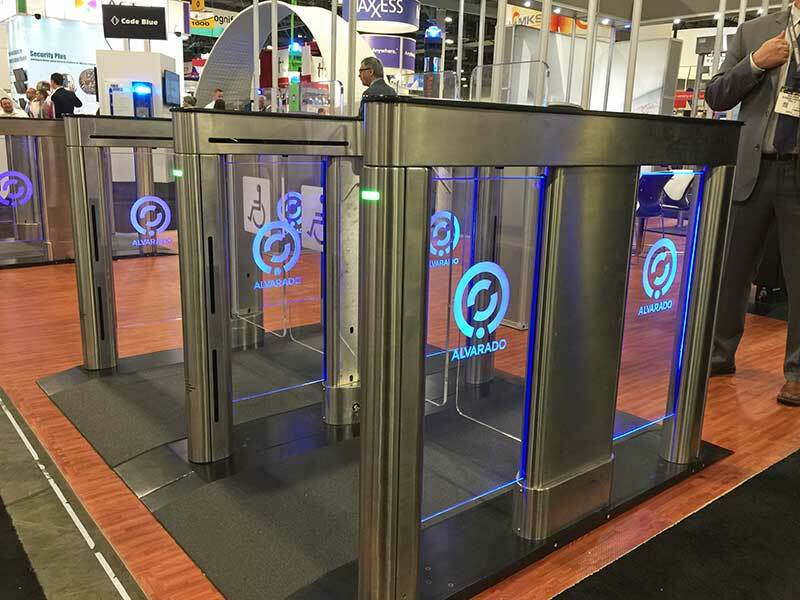 In installations requiring crowd control, we use Alvarado turnstiles as an additional level of crowd control for either interior or exterior applications. High volumes of traffic that need to enter through a controlled area and provide a credential for legal entry, a ticket or some form of payment may also be required. Mechanical and electronic waist high turnstiles are a great fit for this need and are typically seen in stadiums, public transit venues, amusement parks, distribution warehouses, manufacturing plants and universities. More and more, these turnstiles work with the buildings’ electronic access control system and are integrated to work seamlessly together. An attractive example of turnstiles and access control in action is at MizzouRec, the recreation center on the University of Missouri campus. 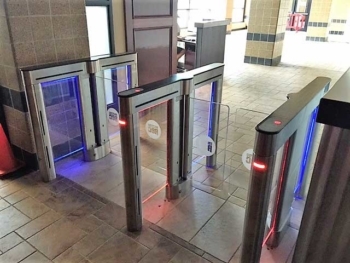 These devices were customized to incorporate the Universities logo and integrate with the facilities recreation center’s membership software to allow members ease of entry with an active membership. If you or someone you know is thinking about controlling entry access, we would love to talk with you about it. Please give us a call. https://kentonbrothers.com/wp-content/uploads/2018/04/Kenton-Brothers-Turnstiles-web.jpg 600 800 Gina Stuelke https://kentonbrothers.com/wp-content/uploads/2017/10/Kenton-Brothers-Logo.jpg Gina Stuelke2018-05-09 06:00:442018-08-20 09:40:44Turnstiles: Layers are the way to secure your people, property and possessions.